Unless something has gone spectacularly wrong then by the time you’re reading this Ralph Hasenhuttl will be installed as the fifth Southampton boss in four years. Hell, let’s dispense with the caveat: the Austrian coach is the new man in charge and it’s safe to assume this prior to an official announcement being made because things don’t tend to go spectacularly wrong at St Marys. Rather they prefer death by a thousand self-inflicted cuts. No sudden dramas, no apocalyptic implosions: just a series of bad decisions made one after the other over a period of time. Ordinarily it would serve little purpose trawling through those decisions, mainly because we’re all so familiar with them. We’re all aware that their mandate to produce home-grown talent and merge them with astutely targeted signings was initially a highly successful strategy but by coupling it with the regularly selling of their best kids and best discoveries it was never a sustainable model. At some point the academy well would run dry. At some point poor recruitment would follow. We know too that a couple of years back they dispensed with their sound ethos of head-hunting progressive, hungry coaches in favour of overly-cautious charisma-vacuums. To veer from Pochettino and Koeman to the head-masterly Puel and limited Hughes smacks of playing adventurous poker then for some bizarre reason choosing to have your stack blinded away. Yet let’s not revisit these mistakes any further because, as stated, it serves little purpose. Southampton presently reside in the bottom three and the damage has been done. Furthermore, in the appointment of Hasenhuttl there has been a welcome signalling of intention to address these flaws and who knows, maybe even return to a time when the Saints were moving in the right direction. Having greatly impressed at Aalen and FC Ingolstadt the now-51 year old gained a reputation for overseeing counter-attacking fare that had both clubs punching massively above their weight. A move to RB Leipzig followed, where a thoroughly decent 50% win rate led many to mark him down as a coach to watch until his surprise departure in May of this year. According to Huddersfield Town boss David Wagner, his teams like to ‘get in opponent’s faces’ and ‘play exciting football.’ According to Jurgen Klopp, he promotes ‘very lively and aggressive football.’ He’s is risk then – because nearly all appointments are – but crucially he’s the type of risk Southampton used to make: one that offers a high reward and almost certainly one that will see the return of progressive, combative and expansive ambition on the south coast. To take such a gamble in dire straits is to be applauded. 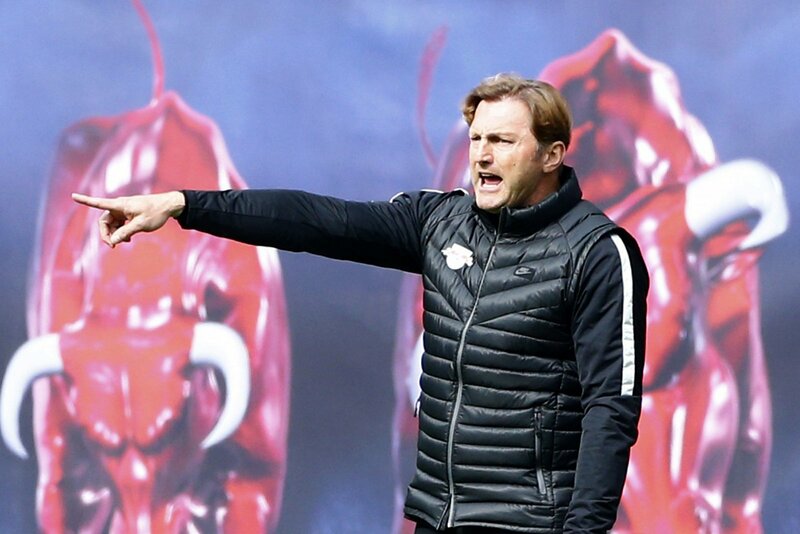 It only gets better too, because rumours abound that the Austrian’s arrival is set to trigger a second spell at the club for Paul Mitchell, their head of recruitment between 2012 and 2014, who left with Pochettino for Spurs and ended up at Leipzig working under Hasenhuttl. Here again is tentative evidence that the Saints have acknowledged the fault lines in their recent thinking and are seeking – before it’s too late – to rewind back to when everything was in full working order. How to get there, though, is much easier said than done and that’s even if Hasenhuttl immediately gets his new squad on board and is able to implement his ideals in an accelerated time-frame. Because bluntly the problems that are seemingly ingrained at St Marys did not begin and end with Mark Hughes, far from it, and what the new gaffer has inherited is a group of players who collectively fall short on quality. Given all of their profiteering in recent seasons it is hard not to look at Southampton’s 23 and be reminded of a Next sale in late January. All that is left are the extra smalls and XXLs, with some frayed a bit at the seams. Theirs is a defence in desperate need of overhaul, containing as it does a combination of mediocre centre-backs who have yet to be able to forge a worthwhile partnership between them and two outstanding full-backs in Soares and Bertrand, who have both been off the pace. In midfield there has long been potential from Lemina and Hojbjerg but too often they have treaded wate,r while up front it’s impossible to know where to start but it absolutely doesn’t include the finding of the net. Such was the paucity of the Saints’ goal conversion rate earlier this season that it was widely mocked on social media and this is hardly a new concern: last season their leading goal-scorer was Charlie Austin with seven, the lowest figure for the club’s best marksman since the 1890s. Shane Long, meanwhile, has scored just five from his previous 76 appearances. So Hasenhuttl has his work cut out and surely he will prioritise the tightening of a back-line that has shipped in just under two goals per game so far. His defensive work at FC Ingolstadt was outstanding so that bodes well and from there, only the coming months will tell but all the pointers hint at improvement with the additional and significant bonus of more stylish football. During the writing of this article it has been confirmed that Ralph Hasenhuttl is now indeed officially the new Saints boss. The time has come to get in opponent’s faces and for Southampton to get back to what they know.